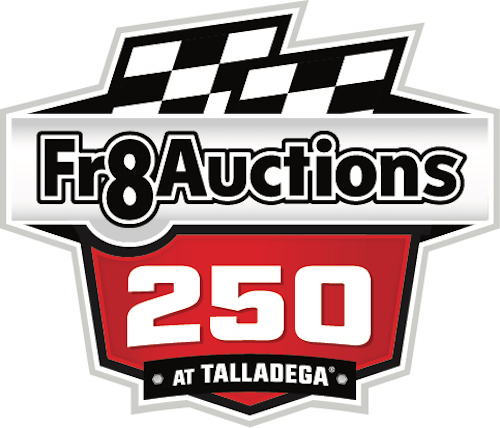 After a month off, the NASCAR Camping World Truck Series returns to action Saturday with the running of the Fr8Auctions 250 at Talladega (Ala.) Superspeedway. Saturday’s race is the elimination race of the first round of the 2018 playoffs. 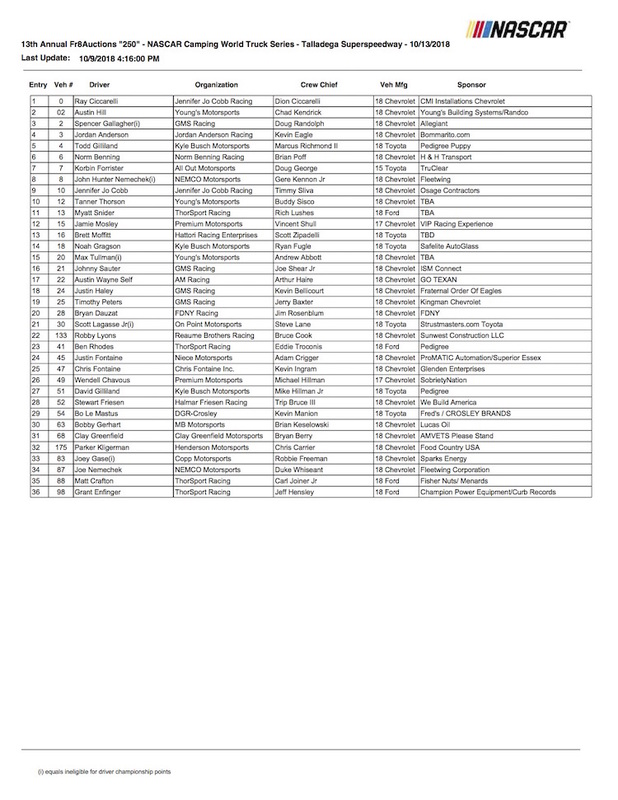 Thirty-six trucks are on the entry list for Saturday’s race, which will have a 32-truck field. Qualifying for the race is scheduled for 5:35 p.m. ET Friday and will be shown live on FOX Sports 2. The race will be shown live on FOX at 1 p.m. Saturday. Justin Haley and Grant Enfinger enter the Talladega race with their playoff advancement already secured, courtesy of wins in the first two races of round one. Meanwhile, Ben Rhodes and Stewart Friesen are in the provisional elimination spots heading into the cutoff race. Part-time driver Parker Kligerman won last year’s Truck Series race at Talladega and is on the entry list for this weekend’s race.